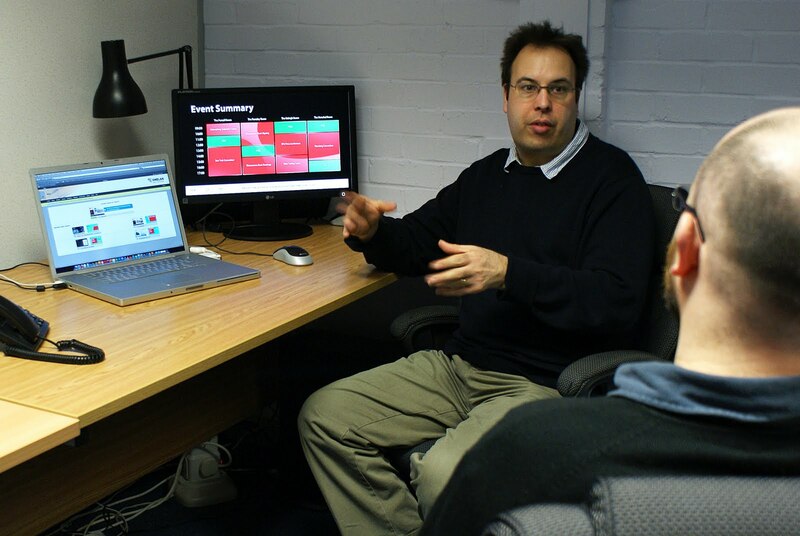 January 2011….ONELAN has set up a new department to cater for increasing customer demand for integration services and solutions. The department will handle all aspects of integration of ONELAN products with third party systems and products. To date several successful 3rd party integrations have been rolled out including Assumption Grammer school, NHS Bristol, and Highbury College. The Integration Services department will be headed up by Andy Cordwell. With over 20 years’ experience delivering software solutions Andy also has unrivalled knowledge of ONELAN’s products having previously been involved in all aspects of ONELAN’s product development. 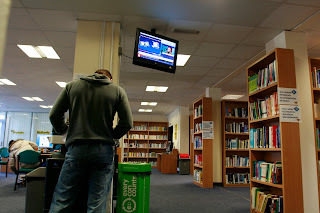 Jan 2011….Merthyr Tydfil originally had a standalone digital signage player which was just used in the college library. They needed a new digital signage system to provide information college wide (news/ messages/ important announcements etc). 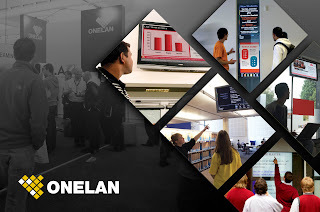 ONELAN emerged as the best solution able to deliver what they required: a system where more than one user could upload information, which could be time scheduled, that used common file formats and with great flexibility in the layout design of the screens. Two ONELAN Net-Top-Box (NTB) 5500s are used to publish content to ONELAN Century NTBs located across the college campus driving 46” Samsung screens, and a 32” LG screen. Signage is situated on each of the four floors of the college. 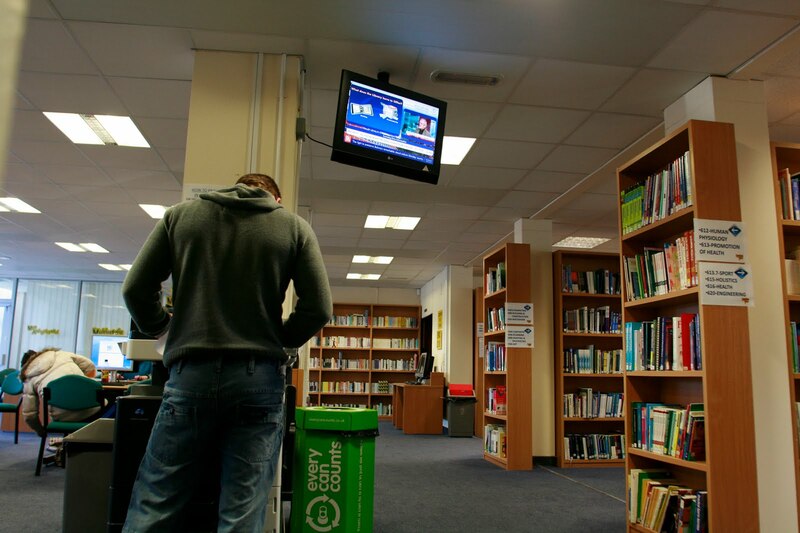 In the library a NTB 5500 is connected to a LG 40” screen. In the main reception there is a 50” screen. ONELAN’s power saving techniques enable a system to be scheduled to shut down and reboot the screens which benefits Merthyr Tydfil’s sustainability policy. It reduces the printing of posters and leaflets, saving on printing and paper costs. “We are delighted with our ONELAN signage system, it provides flexibility, creativity and professional output every time.” Gareth Morgan, Merthyr Tydfil IT Dept. The College was established on the present site in 1955. Courses are managed under three faculties: Business & Lifelong Learning, Services to People and Technology. About 850 students follow full time courses and a further 3500 enrol part-time. The College holds a large Work based Learning contract, has a vibrant Commercial Services unit and has achieved more Enterprise Scholarships that any other Further Education establishment in Wales. A major programme of improvement to the College estate is in progress with approximately £1.8 million spent in the current academic year. · TV Streaming - Streaming forms an increasingly important part of signage, from displaying full screen TV on a signage player for queuing customers, to streaming a complex multi-zone presentation to IP enabled TVs. ONELANs communication platform provides the tools to stream video around your facility and manage the recording, storing and redistribution of content, as your signage solution requires. · Data Capture Engine - ONELAN’s Data Capture Engine enables capture, collation and re-purposing of business data stored in Excel files, SQL databases, Microsoft Exchange servers and XML files to be accessed and displayed on Digital Signage.